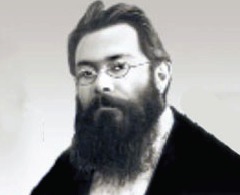 19th century Armenian composer Kristapor Kara-Murza was an instructor at the Kevorkian Seminary in Holy Etchmiadzin and composed a setting of the Divine Liturgy. 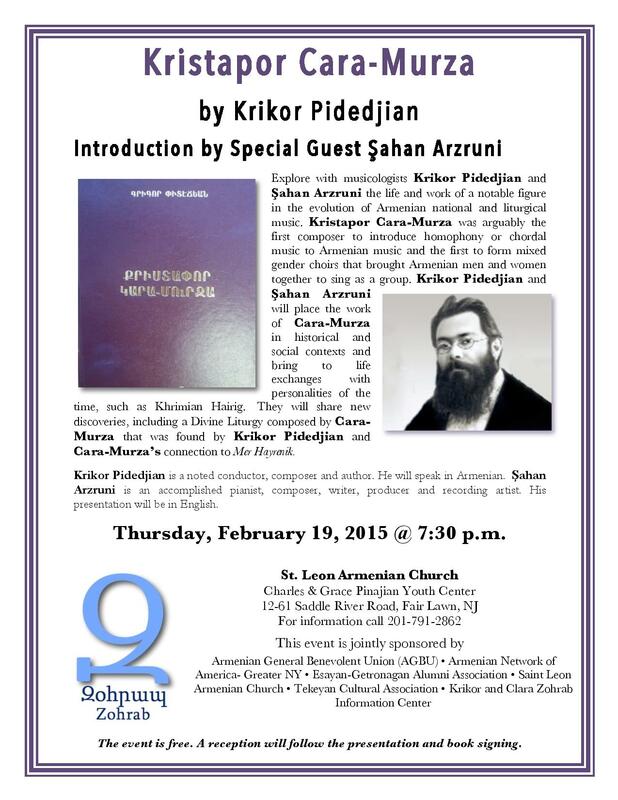 Musicologist Mr. Krikor Pidejian will present his new book on the 19th-century Armenian composer Kristapor Kara-Murza on Thursday, February 19 at 7:30PM at St. Leon Armenian Church, 12-61 Saddle River Road, Fair Lawn, NJ. Noted pianist Şahan Arzruni will also speak at the event. The Zohrab Information Center is co-sponsoring the event with St. Leon Armenian Church (Fair Lawn, NJ), the Armenian General Benevolent Union (AGBU), the Armenian Network of America- Greater NY, the Esayan-Getronagan Alumni Association and the Tekeyan Cultural Association. Kristapor Kara-Murza was arguably the first composer to introduce homophony or chordal music to Armenian music and the first to form mixed gender choirs that brought Armenian men and women together to sing as a group. Kara-Murza also composed a setting of the Badarak, the Divine Liturgy. Krikor Pidedjian and Şahan Arzrun will place the work of Kara-Murza in historical and social contexts and bring to life exchanges with personalities of the time, such as Khrimian Hayrig. They will share new discoveries, including a Divine Liturgy composed by Kara-Murza that was found by Krikor Pidedjian and Kara-Murza’s connection to the Armenian national anthem, Mer Hayrenik. Krikor Pidedjian is a noted conductor, composer and author. He will speak in Armenian.Şahan Arzruni is an accomplished pianist, composer, writer, producer and recording artist. His presentation will be in English.